Prince Charles has admitted that he's taking grandfather lessons and now knows when his grandson, Prince George, needs a bottle or his nappy changed. 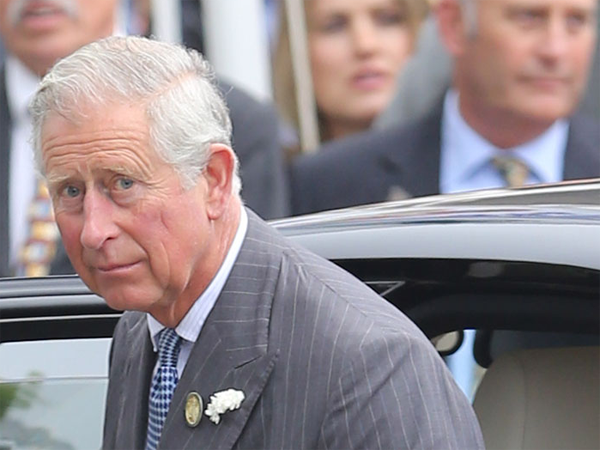 Britain's Prince Charles is taking lessons in "grandfatherhood". The 65-year-old Royal welcomed his first grandchild last year when his son and daughter-in-law, the Duke and Duchess of Cambridge, had their first child, Prince George, and yesterday he claimed he'd been taking lessons in how to be a good grandfather after a crying baby interrupted his speech at the Prince's Trust and Samsung Celebrate Success Awards. He said: "I know when something needs a bottle. It's time to give it a bottle. "I've been taking lessons in grandfatherhood. "I'm getting used to this and I know when something needs a bottle - or maybe it's something else." The Prince of Wales - who is Queen Elizabeth's eldest son and the heir to the throne - also thanked TV hosts Ant and Dec for their continued involvement in the awards during his speech. Celebrities including Joan Collins, Dominic West, Sir Ben Kingsley and Jeremy Irons also attended the event at the Odeon in London's Leicester Square, where 23-year-old Danielle Fisher - who was presented with the Breakthrough Award - thanked the Prince's Trust for helping her to overcome depression. She said: "It's amazing how people like Prince Charles want to support you. When I was up on stage he said to me, 'It's alright'. "I never thought I'd be able to turn my life around but I have."